Stennis Space Center closed its on-site visitor center, the StenniSphere, on February 15, 2012. Many of its space artifacts were moved to the new INFINITY Science Center, which opened April 12, 2012 (which happens to be the 31st anniversary of the Space Shuttle's first flight and the 51st anniversary of Yuri Gargarin's Vostok 1 flight). 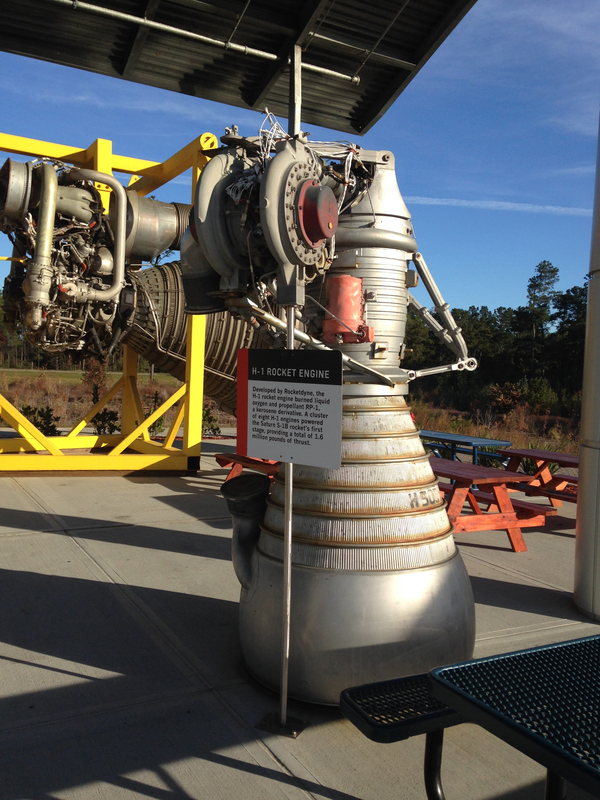 INFINITY Science Center is Stennis Space Center's visitor center. I emailed INFINITY during the course of researching an engineering change for the F-1 engine. They climbed up on top of the engine to get a photo of the part I wanted and forwarded me photos of several other artifacts, so I put together this overview page. Click image for a 3264x2448 pixel version of this image in a new window. Photo courtesy INFINITY Science Center. Click image for a 2448x3264 pixel version of this image in a new window. 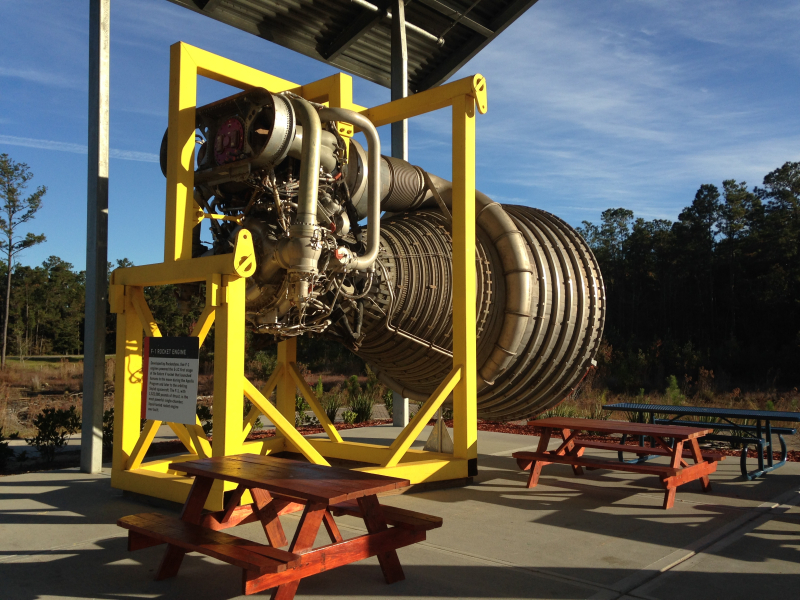 An engine which I did not see displayed at Stennis is a rare XRS-2200 linear aerospike engine. The only other one of which I am aware is at Marshall Space Flight Center, making this one the only one of which I'm aware that's accessible to the general public. 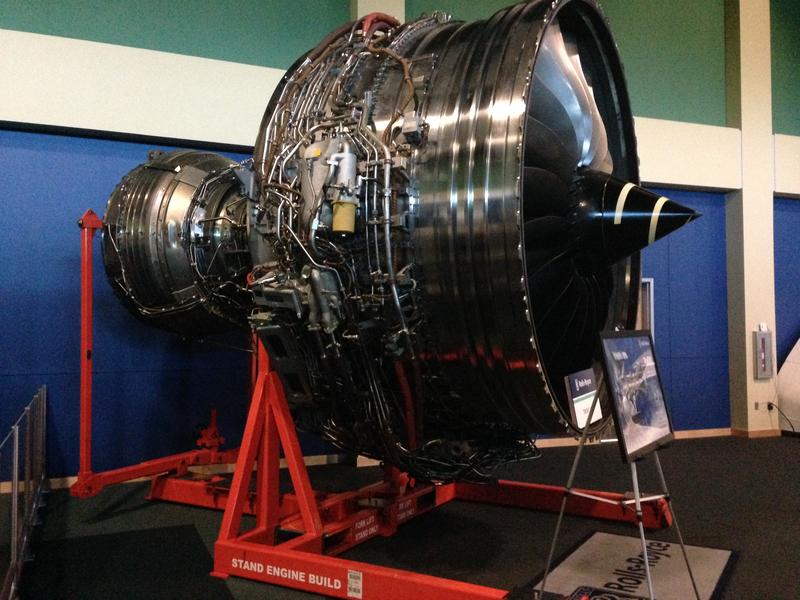 Unlike the XRS-2200 at Marshall, this engine appears to retain its turbopumps. 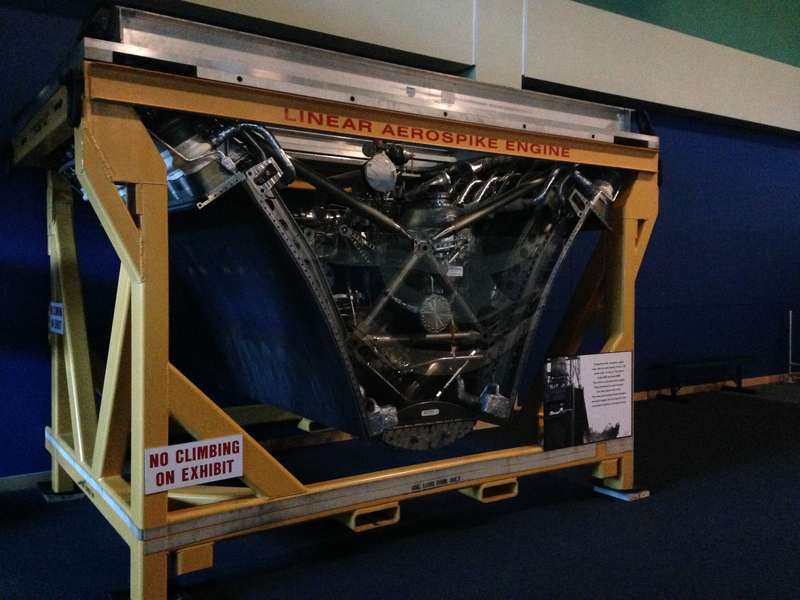 Among the other space-related exhibits they have are an LRV wheel and mockups of an ISS module and the Orion spacecraft.